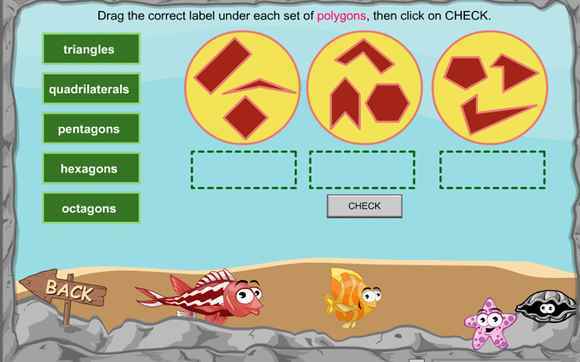 These fun maths games can help children recognise 2d and 3d shapes and understand the properties of shapes. 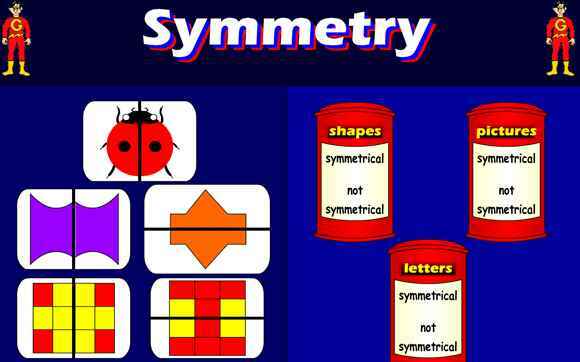 There are maths games where children can practise finding lines of symmetry and recognise symmetrical shapes. 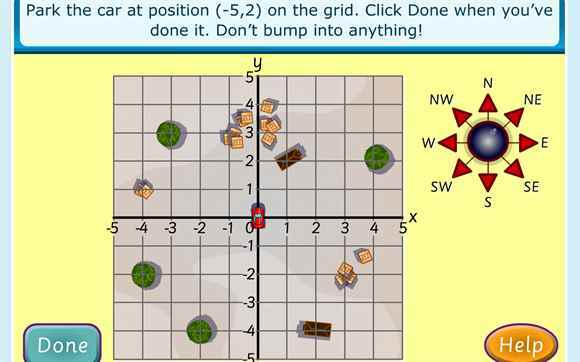 Also included are coordinates games which give children hands on practise at identifying locations on grids, angles games and activities on areas and perimeters. 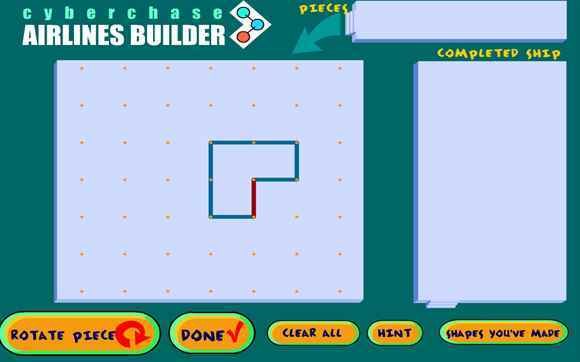 Escape the Roboidz and Shades in this exciting game of 3D shapes! 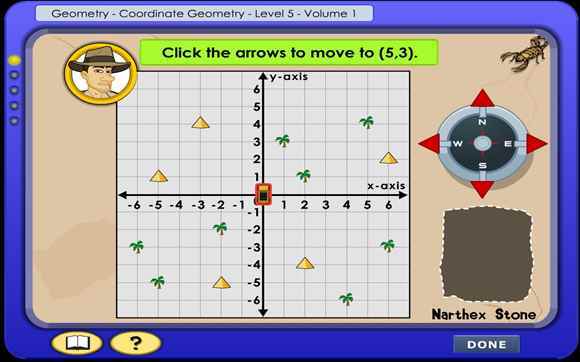 But take care you need to know the properties of 3D shapes if you are to complete your mission. 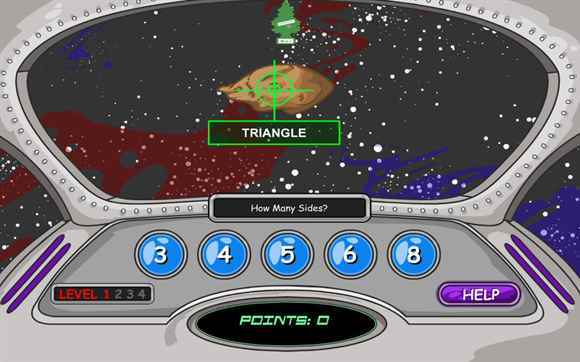 A space game where you can revise the properties of 2d and 3d shapes. There are different levels of difficulty. 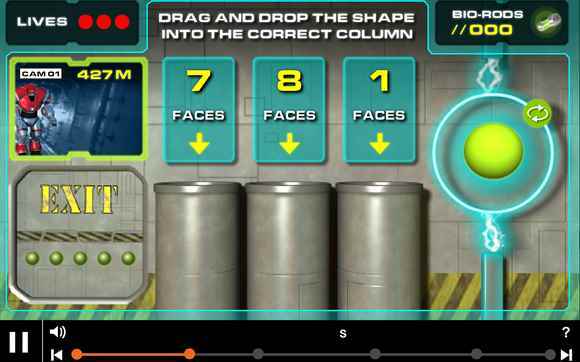 Climb aboard the spaceship, fly to Earth and find 3D shapes in five locations. 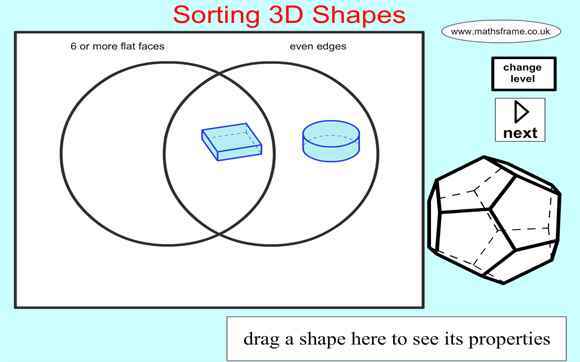 An activity where you use a Venn diagram to sort a variety of 3D shapes according to their properties, including: whether they are pyramids or prisms, the number of faces, edges and vertices and whether they have a curved surface. 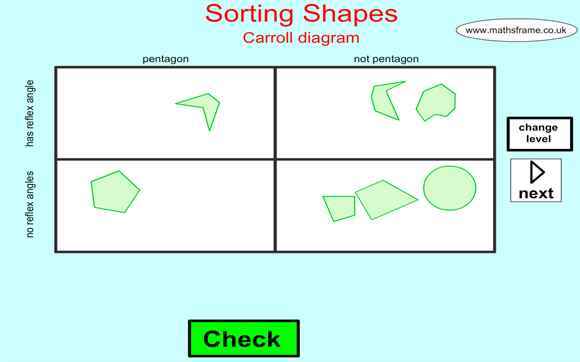 Sort a variety of 2d shapes on a Carroll diagram. Sort by one or two conditions. A symmetry matching game against the clock. Can you spot the symmetrical shapes? Suitable for lower Key Stage 2 age groups. Daring symmetry puzzle games including building your own symmetrical robot! 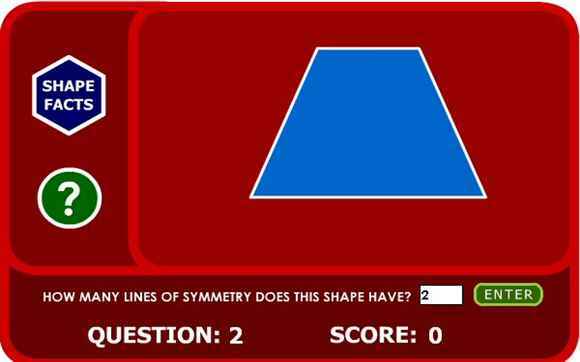 Test your knowledge of 2d shapes to see their properties and if you know how many lines of symmetry they have. The trapezium is called trapezoid as it is an American site. 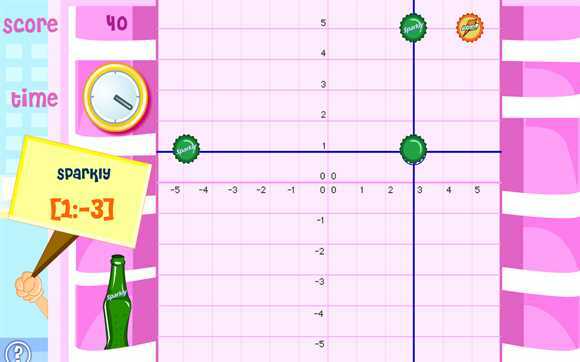 A coordinates game which uses all four quadrants. You have 30 seconds to shoot as many aliens as possible. 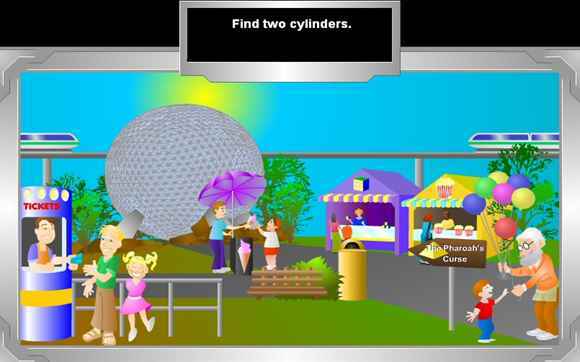 A quick co-ordinates game where you need to read the co-ordinates and park the car on the grid. 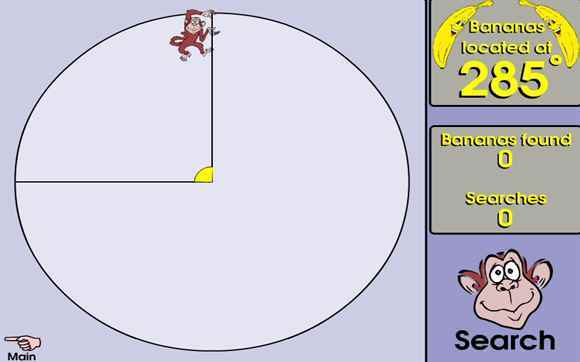 Good for starter or plenary activities used on an interactive whiteboard. Explore locations on a grid which involves compass directions and follow instructions to get your character home. Designed for 8 - 9 year olds. Help Raleigh to uncover the lost temple by plotting ordered pairs on a co-ordinate grid. Designed for 10 and 11 year olds. 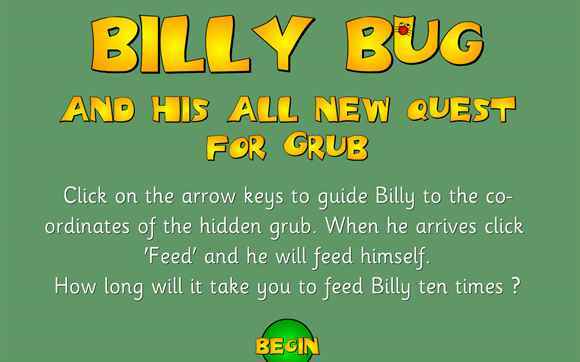 See if you can feed the bug by finding his food using your skill with coordinates. Can you help Sammy stock his shelves with soft drinks by finding the correct coordinates? 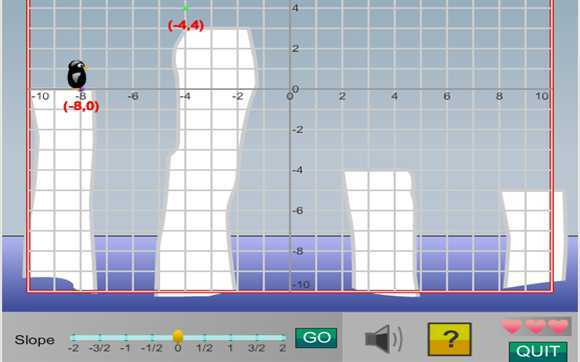 Test your knowledge of coordinates where the grid includes negative numbers. See how long it takes you to feed the bug! 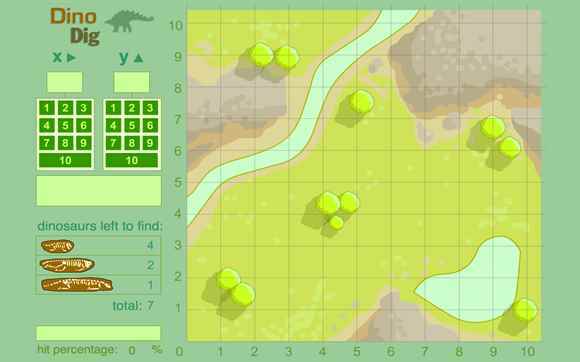 A game where you are an archaeologist searching for dinosaur bones. 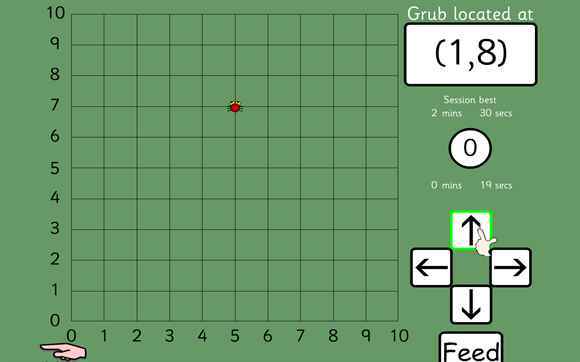 You have to use the grid to put in the coordinates to see where to dig. 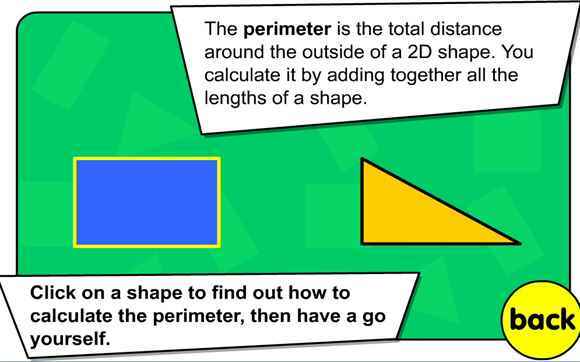 Solve a series of puzzles by using your knowledge of co-ordinates. 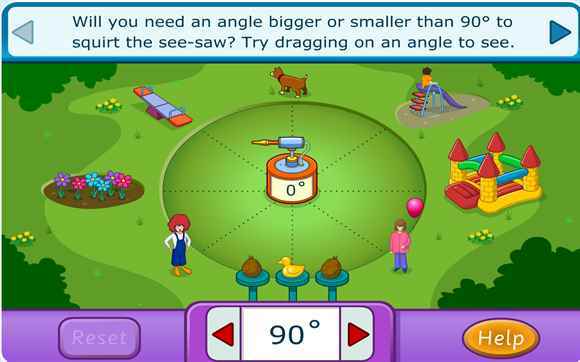 A maths game where you need to estimate the angles to squirt a hose pipe on the dog and other items. 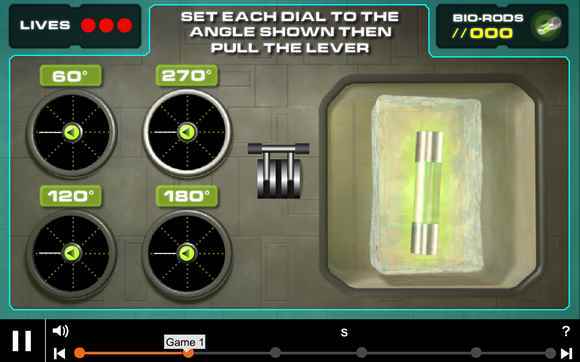 Control the Roboidz with your knowledge of different types of angles in this exciting Mission 2110 game. Suitable for 10 - 12 year olds. 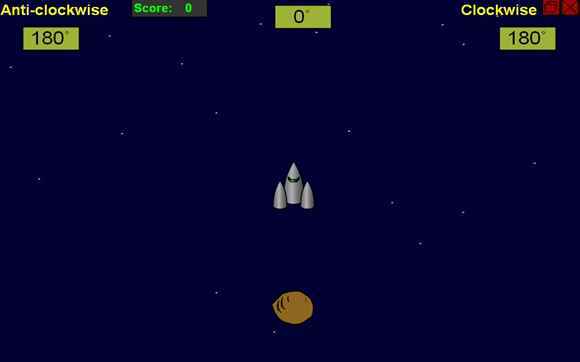 Shoot the asteroids by telling the spaceship what angle it should turn.As the game goes on, it gets more difficult, with more angles. 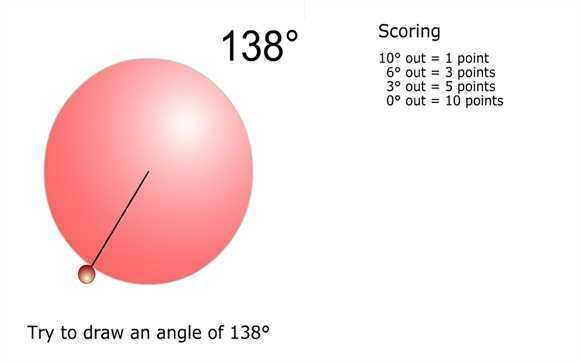 A quick-fire game that should help you to think quickly about angles and turns. 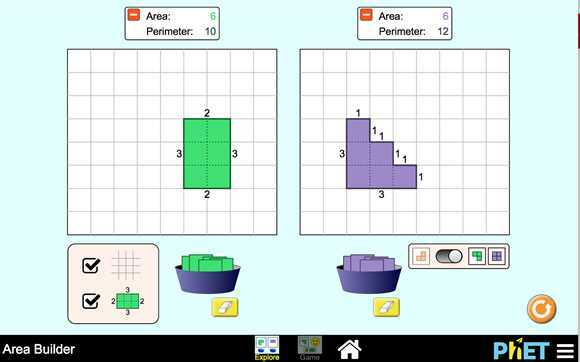 A fabulous teaching aid and learning game site on areas, perimeter and fractions of shapes. You can toggle between one or two display areas which is useful if you want to compare different shapes. 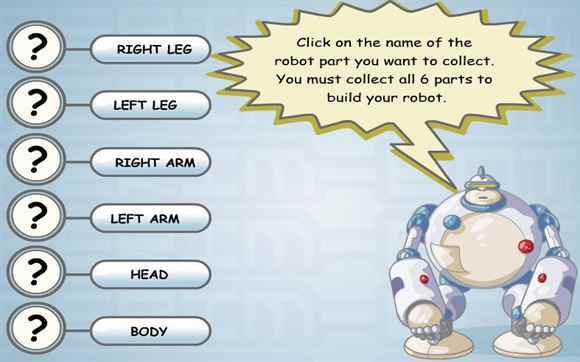 A maths game about perimeters where you can earn body parts to make a robot if you answer the questions correctly. Dr Marbles needs your help to create a fleet of Cyber-spaceships. You need to drag and sometimes rotate the pieces onto the factory floor. This is an area and perimeters game. Designed for children aged 9 to 11 these 'booster' games are fun and provide practice in calculating the area and perimeter of rectangles and compound shapes made up of rectangles. 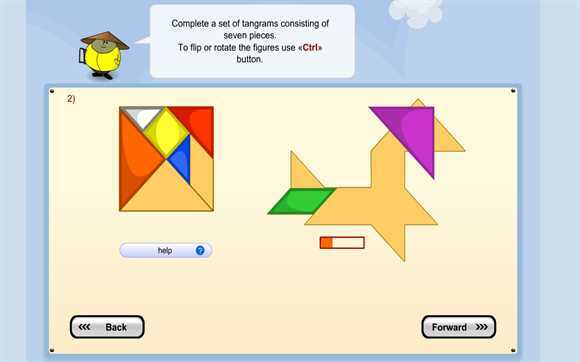 Complete the tangram shapes puzzles. 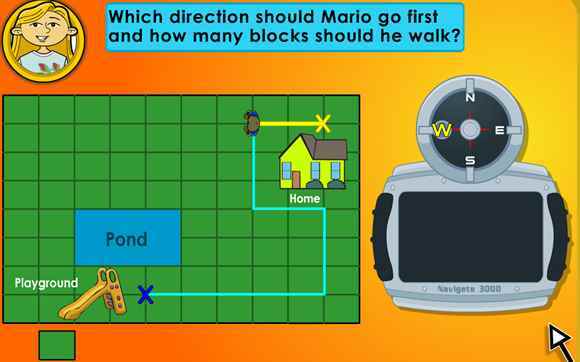 See how accurate you are at estimating and drawing angles.